Kiri hodi is a popular and traditional coconut milk gravy from Sri Lanka. 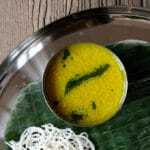 Made using a few basic ingredients, this dish is traditionally served hot alongside coconut sambol (pol sambola) or string hoppers (idiyappam). Vegetables and fish can be added to the sauce to make a more substantial curry dish. 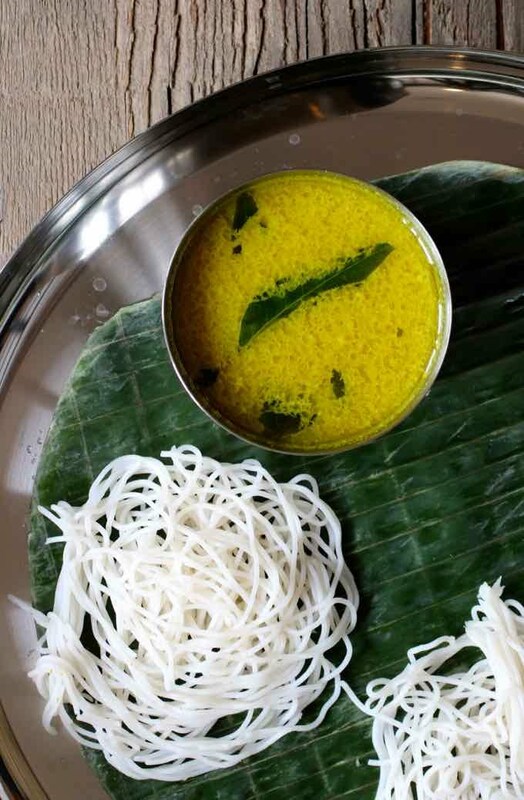 Kiri hodi is a relatively simple and quick dish to make, using a handful of spices that are combined with coconut cream. Kiri Hodi is a very fragrant dish that is typical of Sri Lankan cuisine. As with a lot of traditional dishes, many variations can be found. Recipes are passed down from generation to generation and each family’s kiri hodi will be slightly different to the next – mainly down to the proportion of spices and chilies used. The main spices used in kiri hodi are fenugreek seeds, cinnamon stick and turmeric. Raw fenugreek seeds have a slightly bitter taste similar to celery and burnt sugar, however when they are cooked they become sweeter and much more pleasant. Turmeric has an earthy and sweet flavor and its health benefits are widely publicized. All of the spices used are wildly available in South Asia and across the Western world. Another specific ingredient in a traditional kiri hodi is umbalakada, or Maldives fish, which acts as a flavor enhancer to the dish. 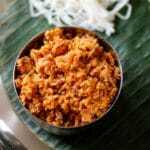 Umbalakada is a cured tuna fish – it is boiled, smoked and sun dried. In the past, it was one of the main exports from the Maldives to Sri Lanka. 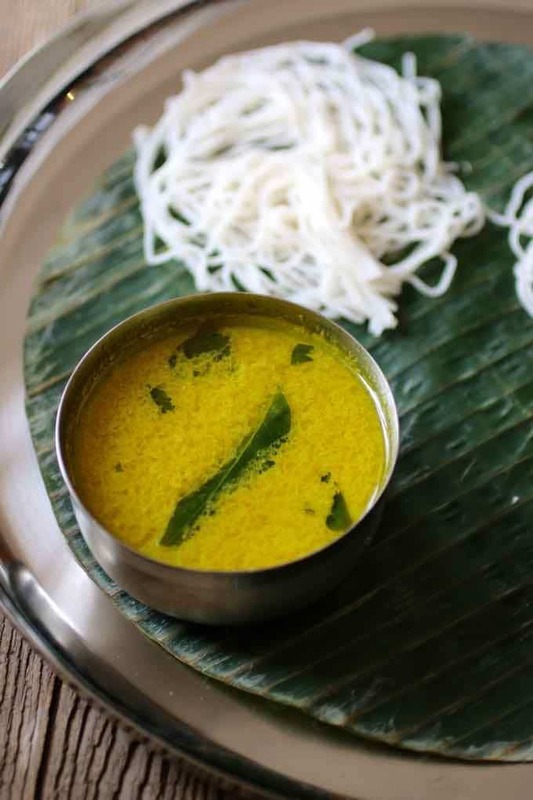 Fish sauces and shrimp pastes are found in cuisines across Asia, and umbalakada is used in a similar way in Sri Lankan dishes. Umbalakada acts as a thickener in curries and has a concentrated aroma and flavor of the sea. Because of the strong umami flavors, only a little is needed to enhance a dish. Pandanus leaf (rampa or rampe) is also added to the dish, and like umbalakada, it is a very common ingredient in Sri Lankan cuisine, and can be found in Asian stores in the Western world. Pandanus leaves have a nutty and botanical aroma and they are used as a flavor enhancer. They are commonly added to rice dishes, stirred into curries or steeped in coconut milk. Coconut is a dominant ingredient in Sri Lankan cooking. Sri Lanka has a tropical climate and coconuts are available in abundance. They can be found in some form or another in most dishes and they give Sri Lankan cuisine a distinctive flavor. 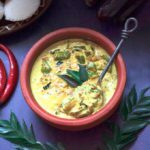 Once the spices for kiri hodi have been cooked, coconut cream is added to give it a creamy texture and sweet taste to balance out the heat of the chilies. 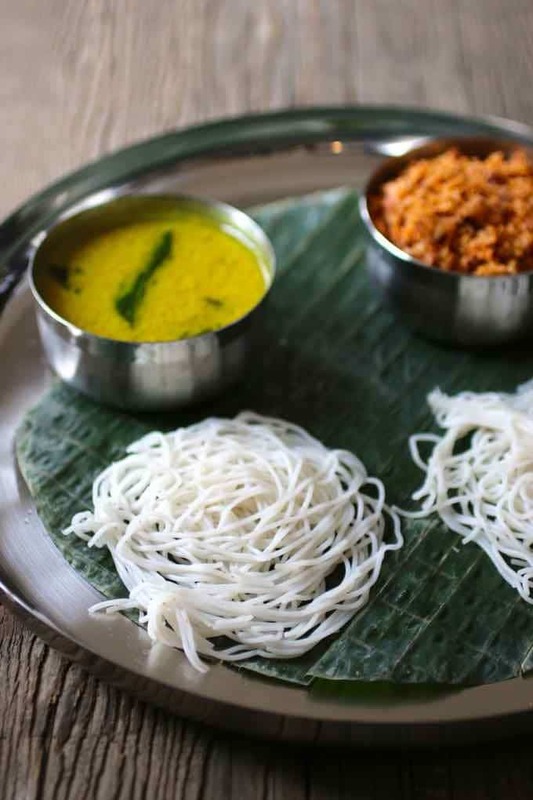 Traditionally, kiri hodi is served as part of a main meal alongside coconut sambol and string hoppers. 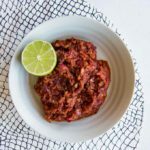 Coconut sambol (pol sambola) is a staple in daily Sri Lankan meals and consists of freshly scraped coconut that is seasoned with chili peppers and shallots. 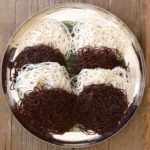 String hoppers (idiyappam) are another Sri Lankan staple consisting of rice flour that is pressed into noodles. The rice flour is mixed with hot water to form a dough which is then pressed through a string mould and steamed. The process of making kiri hodi is very simple and quick, taking around twenty minutes to make from scratch and only one pan is needed. The spices are heated first to release the aromas, and then the other fragrant ingredients are added. Coconut milk is then added to the pan and simmered for five minutes. The sauce is then served hot with the various accompaniments. 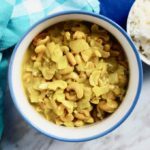 Kiri hodi is a mild spiced dish and coconut milk brings sweetness to the dish, which balances the aromatics and the sourness wonderfully. It is an extremely popular dish across the country, in restaurants and homes alike. Kiri hodi is a popular and traditional fragrant coconut milk gravy from Sri Lanka. It is traditionally served hot alongside coconut sambol or string hoppers. 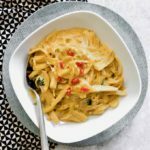 Mix the turmeric powder with the coconut milk and set aside. In a Dutch oven over medium heat, heat the oil, then add the fenugreek seeds, the cinnamon stick and the garlic. Stir well and add the curry leaves, green hot peppers, and pandanus leaf. Mix well and add the onion. Sauté on medium/high heat for 1 minute. Add the umbalakada (dried Maldives fish) and mix well for 1 minute. Add the coconut milk and bring to a boil. Simmer for 5 minutes over low heat. Remove from heat and let cool slightly. Add salt and lime juice. Remove the cinnamon stick and the pandanus leaf. Serve hot with coconut sambol and string hoppers. Really Ruban? Is it how it’s being eaten in Sri Lanka? Since I don’t live in Sri Lanka, nor do I live anywhere near a city that has a Sri Lankan market, what can I substitute for the pandanus leaves (rampa)? I have everything else in my pantry, because I do a lot of Indian cooking. Hey Pamela, a number of Asian stores, including Filipino markets carry it. I personally buy it frozen so I always have some at home. There is not real substitution for it, sorry. Enjoy! I just left out the “rampe” leaf and made the kiri hodhi …. but I did add a chicken stock cube. Gives the soup just that little bit of “oomph”!